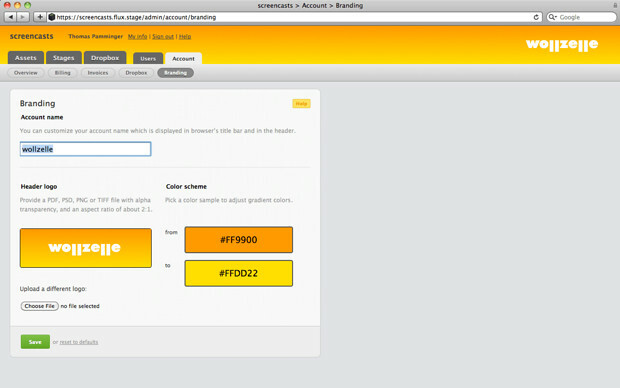 Personalize the appearance of your Fluxiom account. 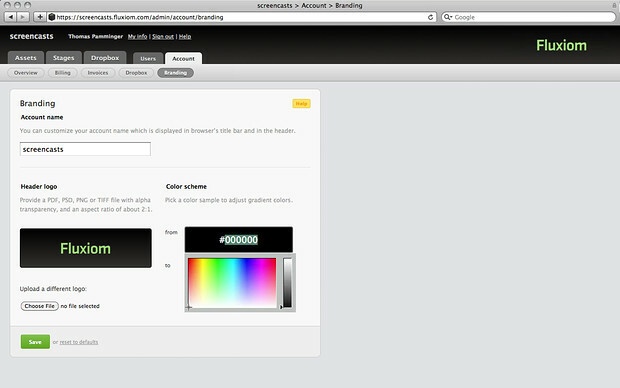 Add your logo and customize the color scheme corresponding to your company’s corporate design. It’s easy to visually integrate Fluxiom into your business. 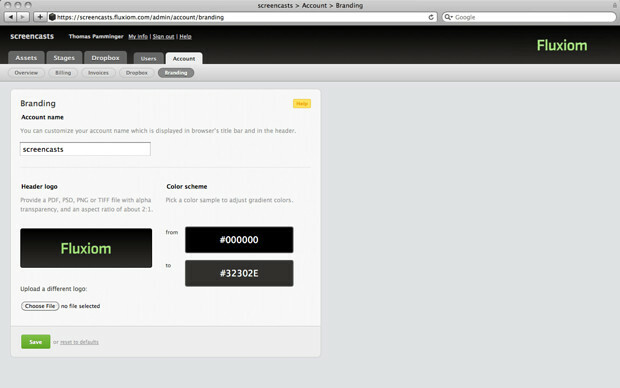 On the branding preferences page you can change the account name. 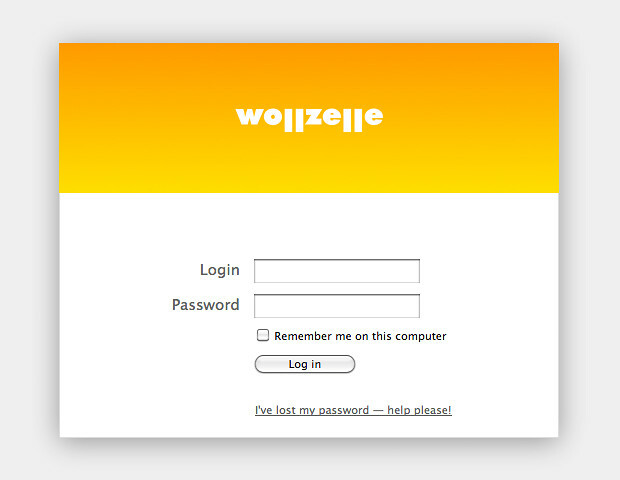 This is displayed in the header and the title bar of your browser. You can also provide your own logo and adapt the background gradient colors. For best results, provide a logo in PDF, PSD, PNG or TIFF file format with alpha transparency with an aspect ratio of about 2:1. 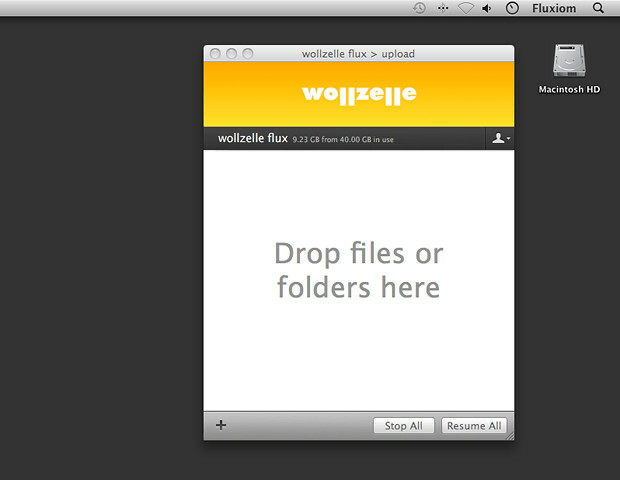 Save your settings and your Fluxiom account will appear in the new design. This makes Fluxiom even more accessible to your staff and clients by making it feel part of a visually integrated whole. Once you saved your branding settings as described above your Fluxiom account and also the Fluxiom Uploader App will shine in the new design. The login screen and the Stages login screen will show the new branding.